Working long hours at my aunt's boba shop leaves me drained and tired most numerous times. So I've been in search of food that boost my energy level. I'm not much of a coffee girl but I still need something. One of the recommended food for energy that I read online is salmon because of its high omega-3 fatty acid content. Naturally, I went to my favorite place online to learn how to cook...Youtube! 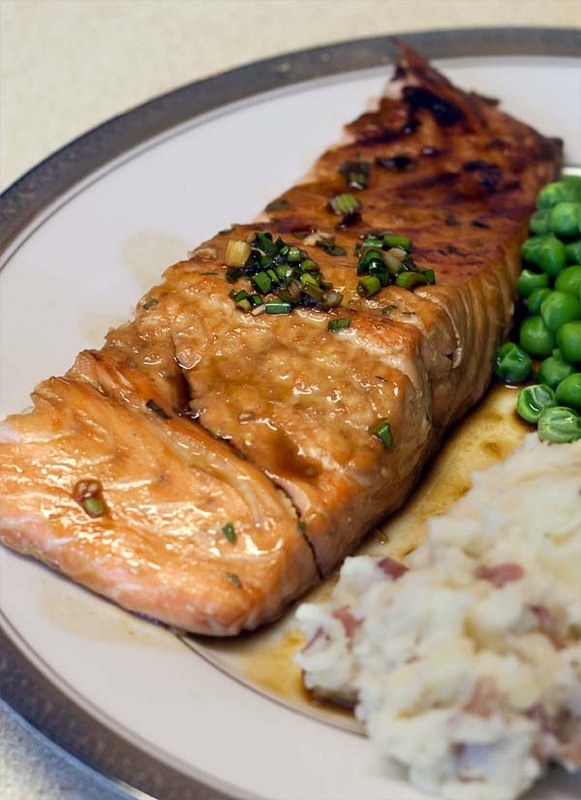 My search yielded a simple recipe for honey soy broiled salmon. And it's delicious. Make the marinade by whisking soy sauce, vinegar, honey and ginger in a bowl. Place the salmon in a plastic sealable bag. Add 3 tbsp of the marinade, close and shake. Refrigerate for 15 minutes. Set the rest of the marinade aside for reserve. Prepare cooking sheet with foil and cooking spray. Place salmon on to the sheet with skin side down. Cook in broiler for about 8 minutes. Before serving, drizzle the reserve marinade on the salmon and garnish with sesame seeds.